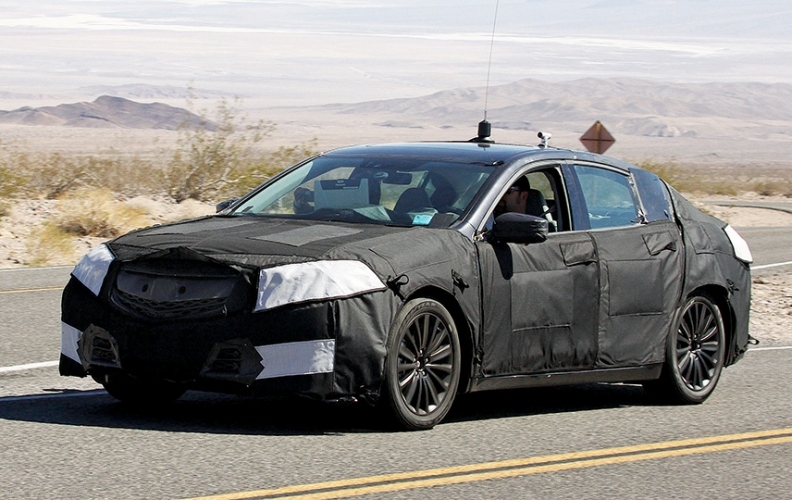 The TLX sedan, pictured under cover, will replace the TL, which is based on the pre-2013 Honda Accord platform. TOKYO -- Tetsuo Iwamura, CEO of American Honda Motor Co., says that for him, "The big challenge is Acura." He said Acura has a "very strong lineup" of SUVs and crossovers. But in reviewing the brand's sedans, he said, "We need to improve a lot." 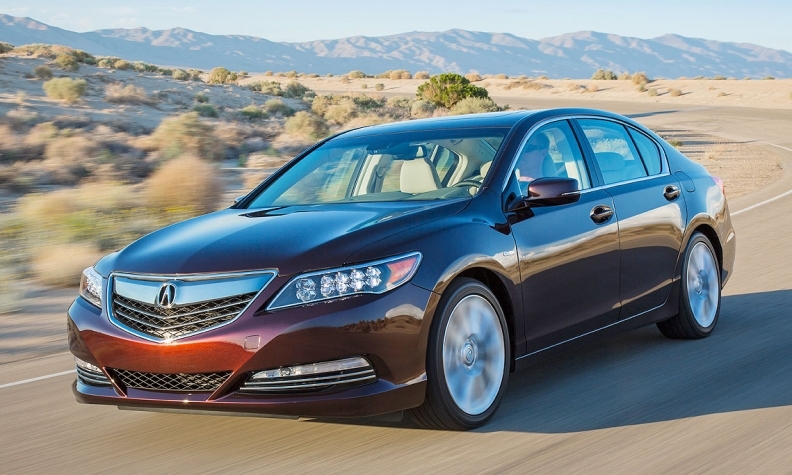 He said of the Acura ILX, for example, "So far, volume is not meeting our expectations. We could have done better." And the TLX, he said, "could be a volume model for Acura" after it gets a redesign and rebadged from the TL "sometime spring next year." Honda plans to showcase a number of new turbocharged engines and a new eight-speed dual-clutch transmission this week at the Tokyo Motor Show. But Iwamura, speaking to reporters before the show, implied the carmaker would not use distinctive powertrain technologies to set Acura apart from the mass-market Honda brand. The 2014 Acura RLX Sport Hybrid, which will go on sale next spring, will come with Honda's seven-speed dual-clutch transmission and its new Sport Hybrid-All Wheel Drive linked to a 3.5-liter V-6 engine. Iwamura said that Honda's three-motor hybrid system will be unique to the Acura brand in the United States. Other than that, though, he did not single out any other technology as one that the automaker would reserve solely for Acura. The 2014 Acura RLX Sport Hybrid, which will go on sale next spring, will come with Honda's seven-speed dual-clutch transmission and its new Sport Hybrid-All Wheel Drive linked to the 3.5-liter V-6 engine. The SH-AWD system uses a three-motor hybrid system to redirect power, when the car is turning, from the inner wheel to the outer one to improve handling and performance. The rear wheels get one electric motor each, while the third is integrated into the engine as a motor-generator. Acura's U.S. sales have advanced 6 percent this year to 135,126, but still trail Mercedes-Benz, BMW, Lexus and Cadillac. Iwamura also rejected the idea of following Lexus and Infiniti, two Japanese luxury brands that are seeking to become global brands after many years of being exclusively or primarily brands sold in the United States. "For us, the main market is still the United States, and a bit of China," he said. "Rather than expanding Acura globally, we'd rather make Acura a strong brand in North America and China." After that, he said, Acura can "look globally." Said Iwamura: "Make sedans strong. That's the next five-year plan."